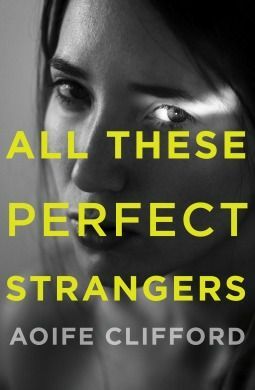 ALL THESE PERFECT STRANGERS is Pen Shepherd’s story. Or stories. She’s the ultimate in unreliable narrators is Pen and so the narrative has an appropriately elastic relationship with truthiness. Pen is young – 18 or 19 for the main narrative – and is primarily telling the stories of the deaths which occurred during her first few months as a law student. Pen is only able to attend the University because she is a survivor (of what we don’t know at the outset) and secured a scholarship based at least in part on having survived whatever it is. She tells that story too eventually. If that is not enough mystery for you we don’t even know where in Australia Pen is – she comes from ‘a small town’ and goes to University in ‘a city’. I struggled to really engage with this book. I very much wanted to but couldn’t. Part of the problem was one of it failing to manage my expectations. Within the first half-dozen pages I was told that Pen has led a dramatic life, especially for one so young. The fact (if not the details) of a home town mystery that has made everyone hate her and multiple deaths at university are all announced up front, demanding attention. So I wanted to start learning about these events straight away. I did not want to have small details parceled out to me as you might lollies to a toddler. Especially as the parceling out came amidst a swag of ‘young people getting drunk and being horrible to each other’ narrative that, frankly, bored me. This is the part that I’m prepared to accept is my problem: the drunken, self-absorbed goings-on of teens didn’t interest me when I was 19 myself and it holds even less appeal 30 years later. I am too old for this book? I think perhaps other people appreciate the use of unreliable narrators more than I do too. The issue is not that I didn’t like Pen (though I didn’t) but that I had no investment in her and she is the book. Whether she turned out to be a killer or a victim, whether she lived or died. whether she lied or told the truth, whether she was found out or got away with whatever it was she had done…I couldn’t seem to care. Mostly because I didn’t feel like we got much of a glimpse into why Pen was the way she was. There are hints that there is something dark and traumatic in her background – even before the thing that occurred in her home town that made everybody hate her – but these aren’t fleshed out in any meaningful way. Without something to explain Pen’s actions and behaviour she’s just…not interesting. I can appreciate that the writing is good and Clifford has pulled together a complicated structure that mixes the present and past with genuine skill that many authors with far more output under their belts would be jealous of. But a book that chooses the first person voice and an unreliable one at that has to ensure that voice connects with the reader in some way and that just didn’t happen for me on this occasion. I am, as is often the case, a minority voice and you are sure to find plenty of rave reviews like this one if you are keen to find a different opinion about this debut novel. 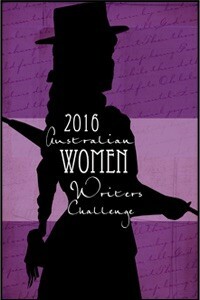 This is the 6th book I’ve read and reviewed for the fifth Australian Women Writers Challenge. For more information about the challenge check out my challenge progress, sign up yourself or browse the Challenge’s database of reviews.